If you or a loved one require a vitrectomy operation to improve or retain vision then chances are your surgeon also told you that it is essential for you to remain in a face down position for a week or more. The thought of remaining face down for a long period of time can daunting and leaves a lot of people feeling very anxious. 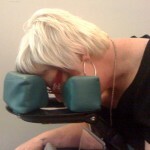 Before the introduction of Summit Support post vitrectomy recovery equipment by Theodore Kavieris (a nationally recognised Physiotherapist with over fifteen years experience), there were no alternatives within the Australian market available to help patients maintain the face down posture for long periods of time. Instead patients were putting a lot of strain on their neck and shoulder muscles. This culminated in the additional expense and inconvenience of requiring up to 8 weeks of physiotherapy after the posturing time. The Summit Support Recovery Chair and Bed Support were developed by Theodore in consultation with numerous ophthalmologists to be able to provide a comfortable and more interactive alternative for patients to be able to maintain the face down posture, but still be able to do things during this time like: reading, eating, sleeping etc. Summit Support can provide vitrectomy recovery equipment which will allow you to be face down with optimal comfort and support, minimising neck, back and shoulder pain. It is a comfortable alternative, putting no strain on your muscles and allows you to even watch TV using the custom 2-way mirror, whilst staying compliant to the Surgeon’s instructions. Click here to watch footage on how to use our equipment. Summit Support is a national service with technicians and representatives based in a number of the capital cities. Our head office is based in Sydney, NSW.